The latest World Drug Report estimates that there are approximately 312 million drug users worldwide. As companies expand their businesses beyond the United States, there is a growing need to also build up drug and alcohol testing internationally to manage the many risks of a global workforce. 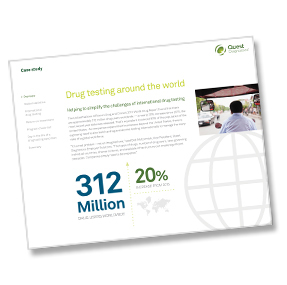 Learn how, with the right support and structure, drug testing around the world can be less of a challenge and more of a reward.